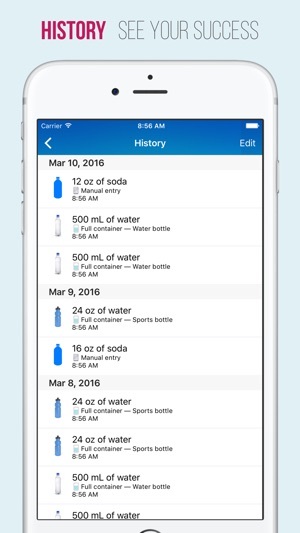 In this version, we've made it even easier to track how much water you're drinking on the daily! I’ve been looking for a good water tracking app for a while. I tried the ones that you have to keep things alive and while those were fun I also felt like it was to much pressure and I found myself cheating just to keep the creature alive (I know, ridiculous right?). Anyway, this one works perfect for me. It tracks everything without the pressure. I can set up the reminders as I need them. I also like that the water goal is customizable. 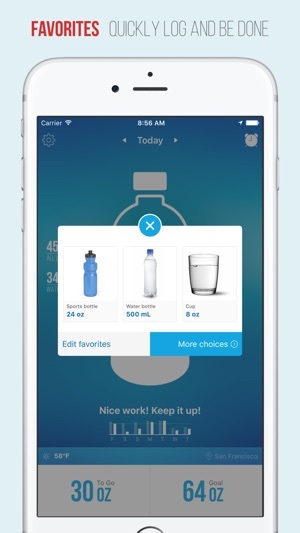 Some other apps set the goal by your weight but that is not always how you should be determining how much water you should be drinking. Older reviews said that if you paid for the premium that it does not work and sync to Apple Health or MyFitnessPal, but I have had zero issues. It has been awesome that it inputs it right in there for me! One less step for me to do since I would always forget to add that in MFP. 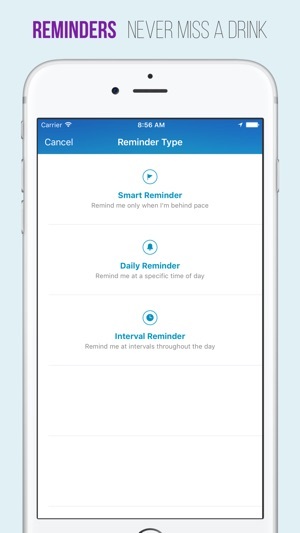 Definitely worth the extra money for the reminders and for it to sync (and no ads). I also like that it tracks other liquids as well. The one thing that I would like is to be able to add an other liquid container to my favorites. If I know everyday that I’m going to be drinking 8oz of milk or a protein shake I would like to just be able to quickly add that rather than add it manually. But I also realize the main point of this is to track water, so I won’t complain too much. Overall, this is a great app! I love this app. I have a few minor quibbles, but I've used it religiously for months, and filling that daily bottle had definite it helped make me drink more water. But when I first paid for premium a couple years ago, I know I created an account. When I try logging into the account on my iPad,I get an error message saying it does not recognize my email and password. However if I signed out and logged back in on my iPhone, it worked. I've written emails to the developers a few times, and they have never responded. And now, my phone had to be sent away for repair, I am currently using a loaner iPhone, and I can't login on this iPhone either. While my regular phone is away, I can't log/save my data on either my iPad not temporary iPhone, and I also still can't get a response from the people responsible for the app. I may have to abandon it and simply cut my losses, which is very frustrating for an app than I have paid even a penny for. Just started using this app to track my water consumption. Within minutes, I had my goal customized and my frequent containers added with pics and sizes. All super easy to input and then the app is amazingly simple and quick to use. My favorite feature is the notification bubble that shows you how many ounces you have left that day. 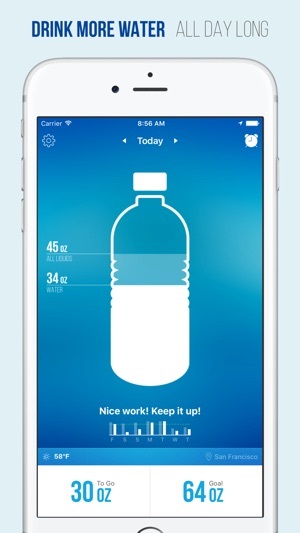 I also like that the bottle image fills up as you enter your water so you get a visual of how you’re doing. With use, I look forward to seeing the data tracking and other info that I haven’t even explored yet. 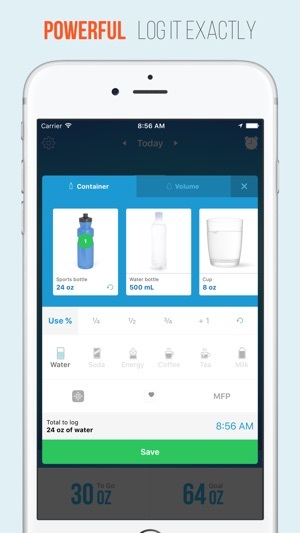 Seeing as I usually have my phone near, keeping track of my water on this app is easier than a piece of paper and the simple act of keeping track helps me meet my goal each day.